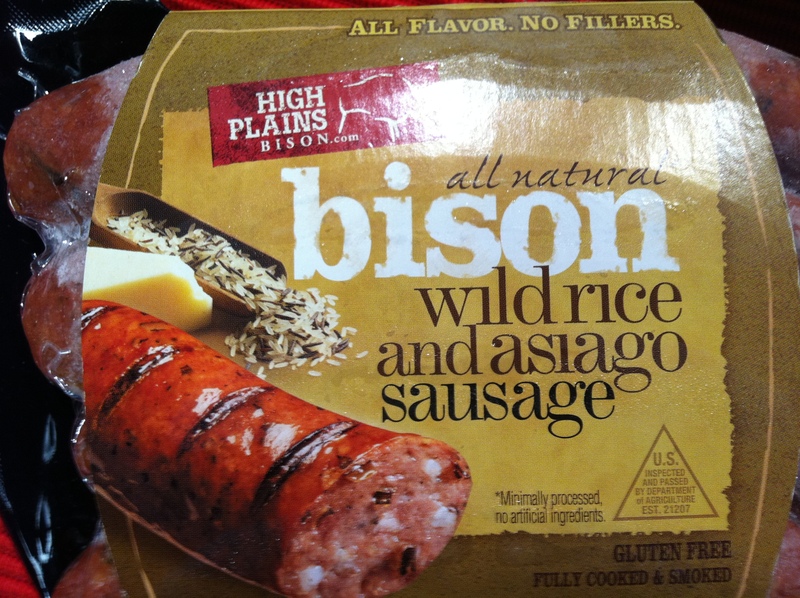 Here’s what NOT to do: Lots of meat, processed meat, and char-grilled. All I see are carcinogens. Take a deep breath. I am not saying that we need to become vegetarian, but turn down the heat and eat less meat. Read on for details from my very first, live television segment on KVOA Channel 4 News at 4. Click here to view the segment. Thanks to Sunflower Market, my favorite place to shop, for sponsoring the segment. Curing and smoking processed meats and the use of preservatives may be what increases our cancer risk. 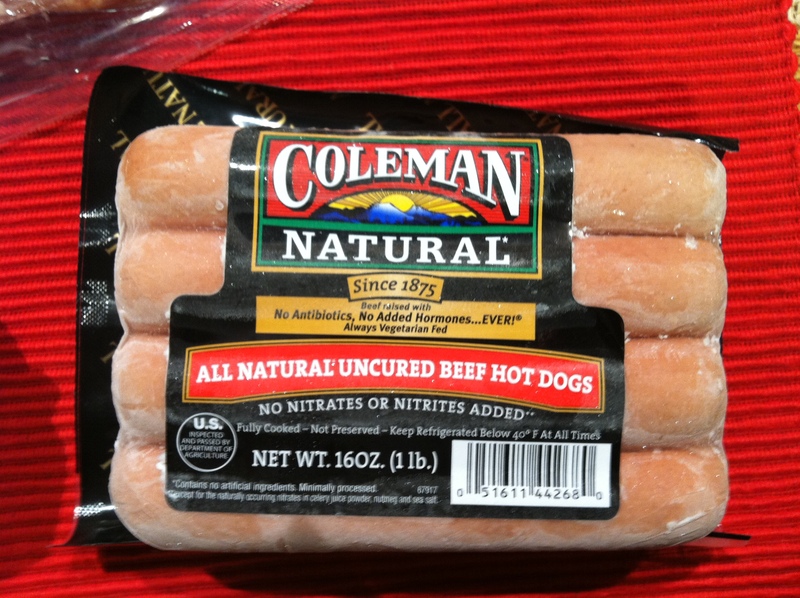 The preservatives used in processed meats are nitrates and nitrites. Look for uncured and nitrate and nitrite free choices. It may also be the types of fats in meat that increase our risk. Meat is high in both saturated fat and aracidonic acid, an omega 6 fatty acid. These are both inflammatory fats and inflammation increases the risk for cancer. Ever heard the saying “you are what you eat”? Well, I like to take it a little further, “you are what they eat”, “they” being the animals. When animals are raised on corn and soy, a grain based diet, their meat is higher in aracidonic acid. By choosing grass fed beef or wild game, like bison, you have leaner meat that is higher in anti-inflammatory, protective omega 3 fatty acids. Grilling meat forms carcinogens. 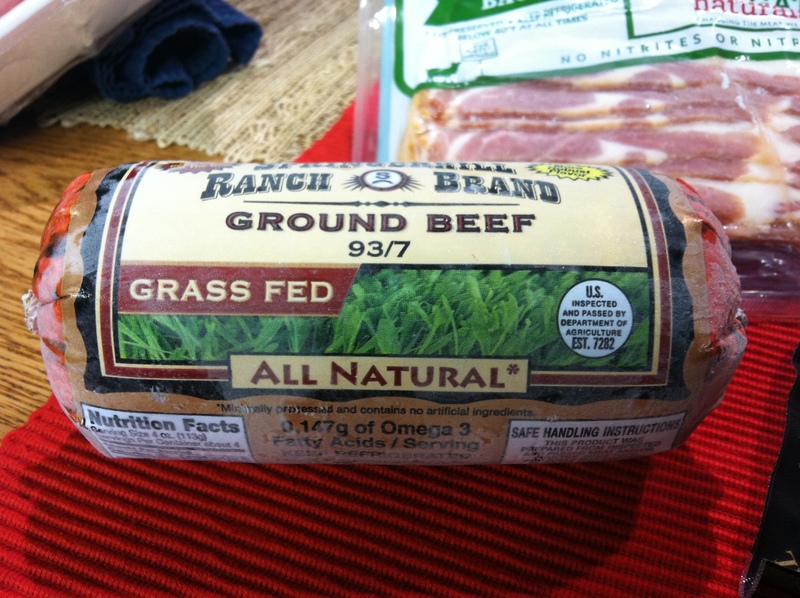 So even when using grass fed meat, turn down the heat and avoid the black char-grilled effect. Swap out red meat for white meat. No, pork is not a white meat, no matter what the advertisers tell you. 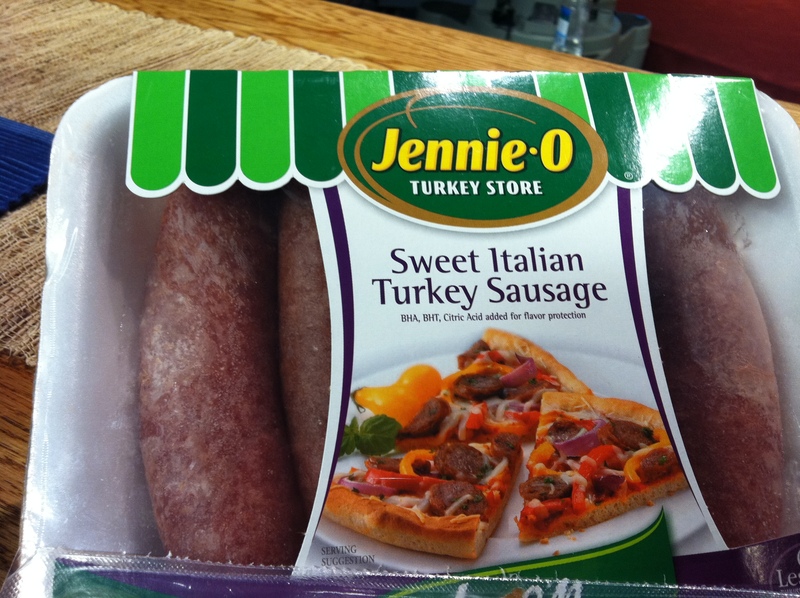 There are an amazing array of chicken and turkey products that serve as alternatives to beef and pork. Use ground turkey or chicken to make burgers. 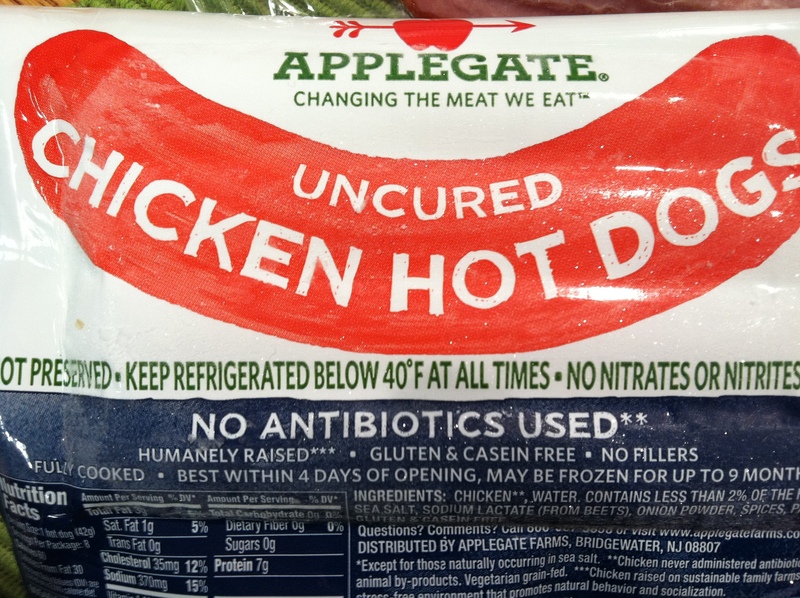 Opt for turkey and chicken sausage, bacon and hot dogs and remember to look for uncured and nitrate free products. Not only are chicken and turkey better for you than beef and pork, these products are often much lower in fat and salt. Pork sausage has about 1/3 of your total fat for the day, nearly 2 ½ times more fat than turkey sausage and twice as much salt. 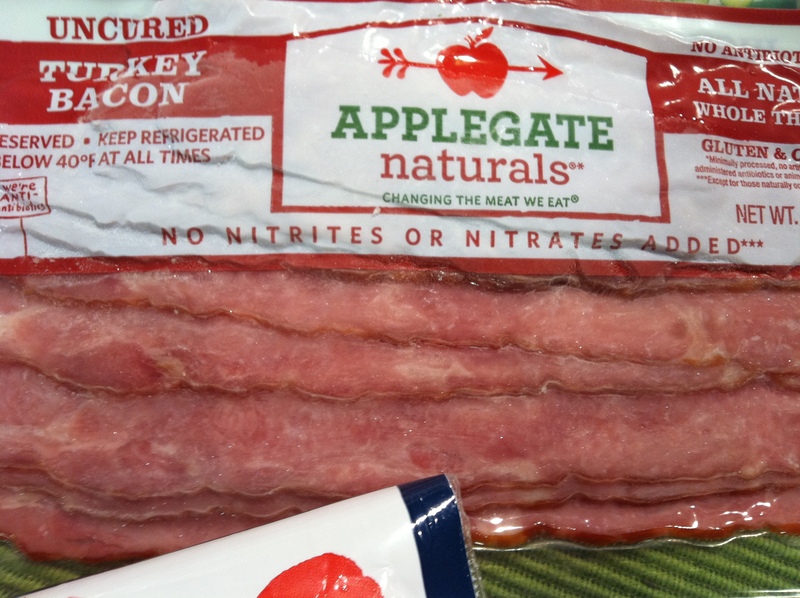 Turkey bacon has 80% less fat than pork bacon. Make an effort to purchase nitrate free deli meats. Instead of stopping at Eegee’s or Subway, where you will not have the option for preservative free deli meats, run in to Sunflower Market and buy Boar’s Head nitrate free deli turkey and chicken. 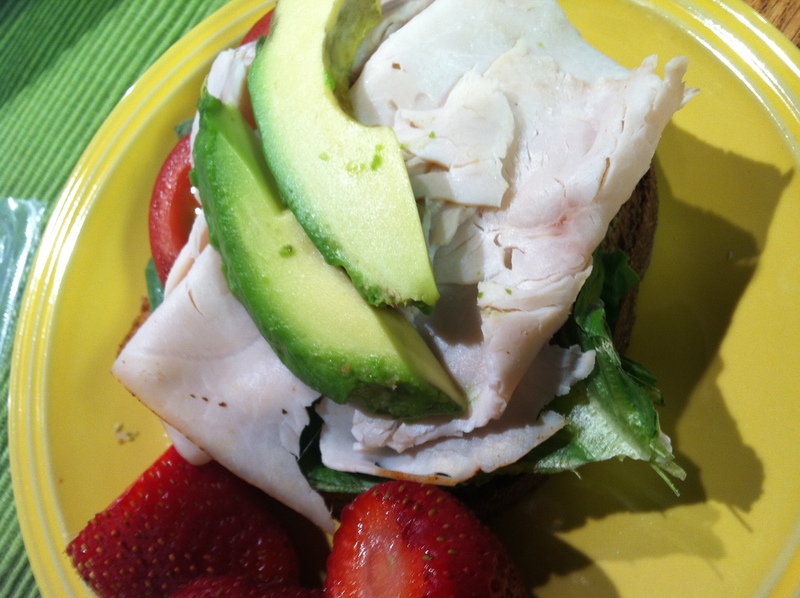 Make a week’s worth of yummy sandwiches and you will save money while protecting your body. The iron in beef, pork, chicken and turkey may be problematic compared to the iron in plant foods, so we do need to explore fish and beans as alternatives to even poultry. Heme iron is found in all animal foods and is not only associated with cancer risk, there are also suspicions that it increases the risk for type 2 diabetes. Eat more beans and fish. 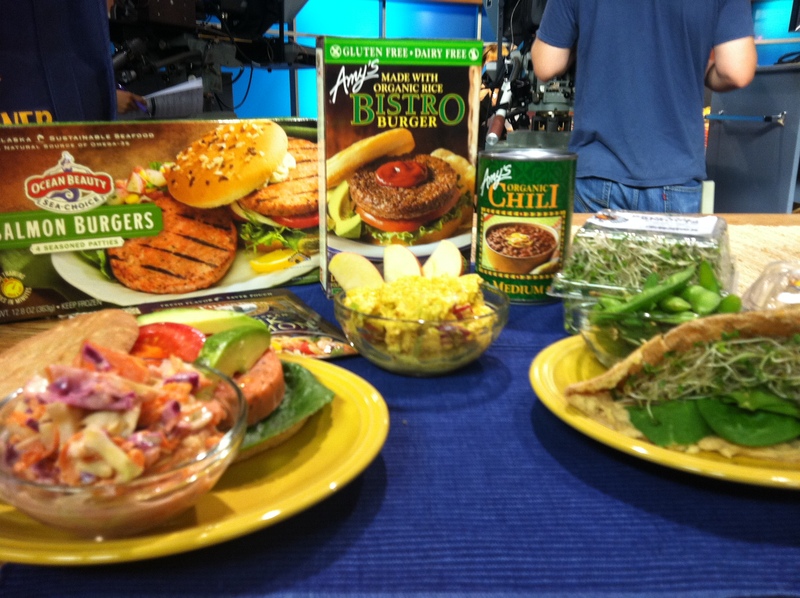 Salmon burgers, bean burgers and veggie burgers are great alternatives to beef burgers. Veggie burgers have 70% less fat than beef burgers, which is a good thing because beef burgers can have more than half the fat you need in your entire day. Coleslaw is the classic side to burgers and can be really healthy! This coleslaw is made lighter and tastier with canola mayo and yogurt in the dressing. Cabbage is a cruciferous vegetable, which is a family of vegetables that have the strongest ability to reduce the risk of cancer. My old boss, a breast cancer survivor, once said, “never pass up the chance to eat a cruciferous vegetable.” That is excellent advice! Instead of a turkey sandwich try a hummus pita. 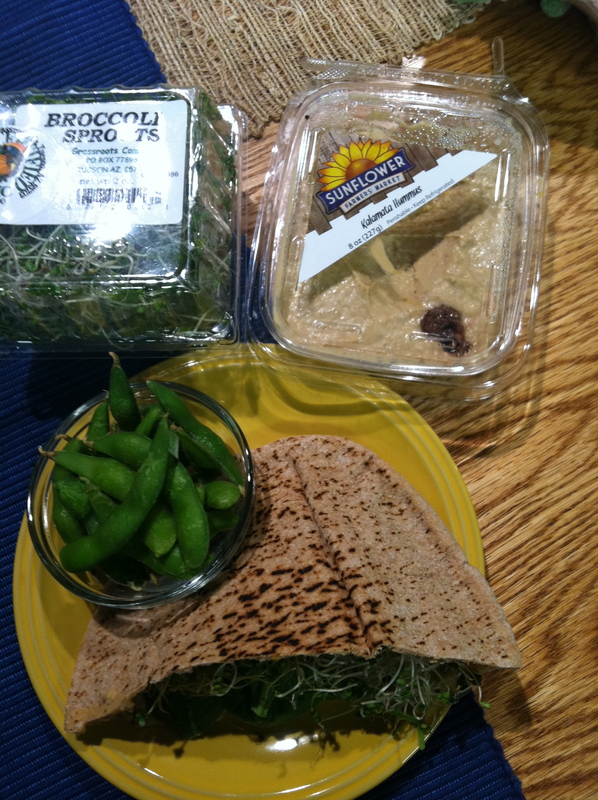 Stuff your pita with broccoli sprouts. Broccoli, along with the spinach in these sandwiches, is another cruciferous vegetable. The protective antioxidants in broccoli are concentrated in the broccoli sprouts. Edamame pods are fun side, instead of chips, and they are fun to eat! What about soy increasing the risk for breast cancer? There has been concern about soy foods increasing the risk of estrogen related breast cancer, due to its estrogenic effect. However, newer research shows that whole soy foods, such as edamame, tofu and soy nuts, are not associated with increasing the risk of any type of cancer and are actually protective for adolescent girls when their breast tissue is developing. Be sure to choose non-genetically modified soy foods by looking for non-GMO labels or choosing organic. 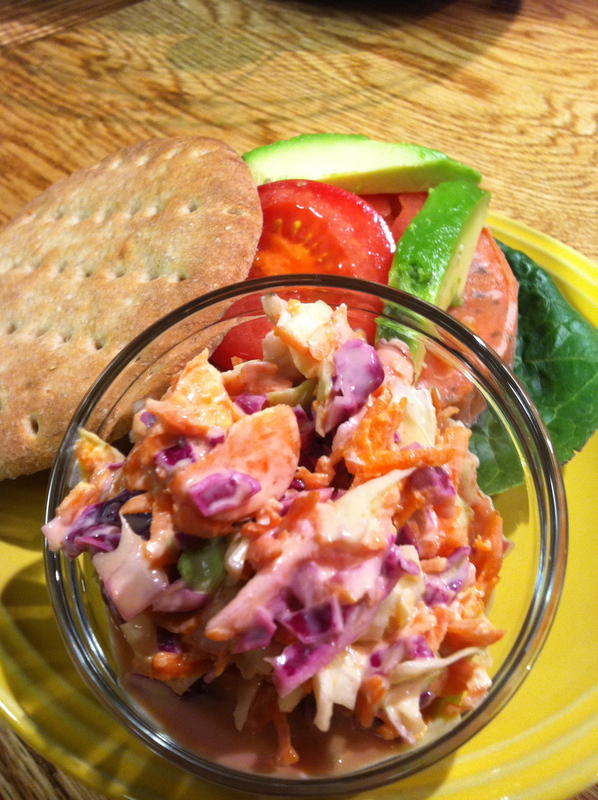 Another alternative to deli meat sandwiches is tuna salad or even better, salmon salad. Compared to tuna, salmon is higher in omega 3 fatty acids and is not contaminated with mercury. 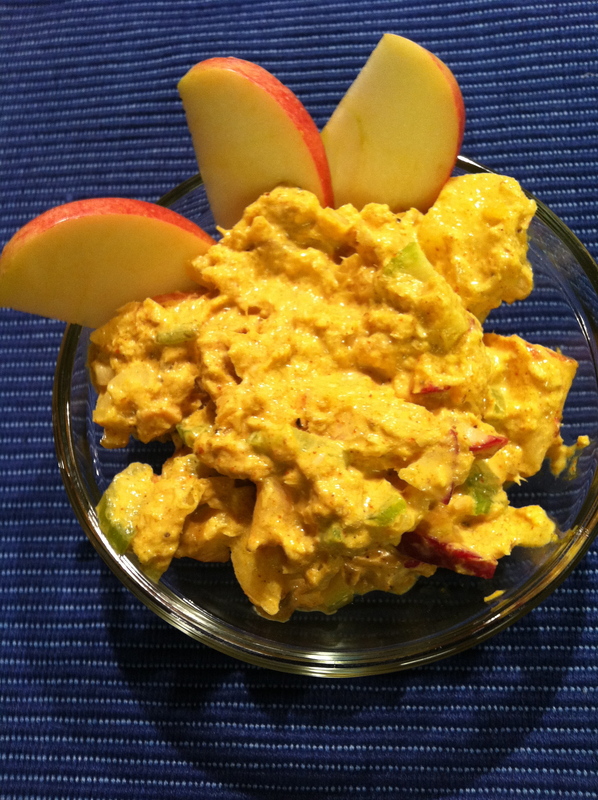 This is a Curry Salmon Salad with Apples. Beans, beans, beans. There are so many ways to eat beans. Try a vegetarian chili. If you aren’t into being totally vegetarian, just add a small amount of ground turkey to the chili. So what you see here: beans, fish, vegetables, fruits and whole grains—these are the foods that you want to fill your grocery cart with and eat to beat cancer!